Gargoyles on every roof, Two Face and the Scarecrow - yip, Gotham City's creepy, mysterious vibe makes it a perfect match for Batman and co., but what about Mystery, Inc? Well, fans of all ages will soon find out, with Comics Continuum reporting Scooby-Doo will star in an upcoming episode of Cartoon Network's Batman: The Brave and the Bold, titled; Bat-Mite Presents: Batman's Strangest Cases! 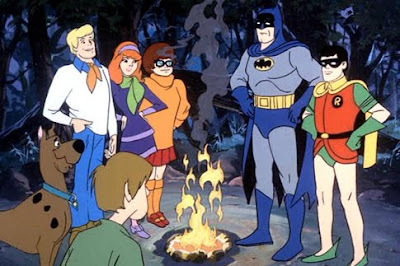 This isn't the first time the Dark Knight Detective has paired up with the world's best whodunit hound-dog - in the 1970's Robin, Joker and even the Penguin got into the mix with The New Scooby Doo Movies. Read more after the jump. The waistline, the redhair... now there's a mystery worth investigating. Wow, this is great news! 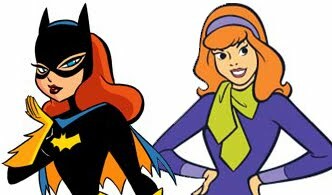 I have the original Batman/Scooby team-ups on DVD, and I watched those episodes whenever they were on TV as a kid. Can't wait to see what they do with the concept in an updated, current context! I agree Marc - it will be great seeing what a modern set of eyes can come up with! Hopefully you're not thinking of Scooby-Doo's team-ups with Sonny and Cher! And no problem at all...I've had a look around and really like the work you're doing here! Thanks Marc - It's great hearing feedback like that! I love how a man who saw his parents murdered as a child is in the same universe as a talking dog. Now that you mention it that's what I think is hardcase too!